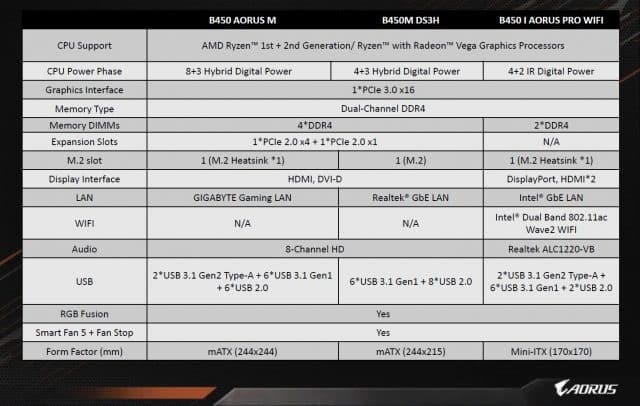 With the official release of the B450 chipset still a couple weeks away, we won’t have any performance numbers for you today but GIGABYTE has sent out information on their B450 motherboard line-up. It looks like we’ll see three ATX and three SFF (small form factor) one of which is mini-ITX. Before we get into any specifics you will notice that GIGABYTE has changed their naming scheme to align with their graphics card naming. 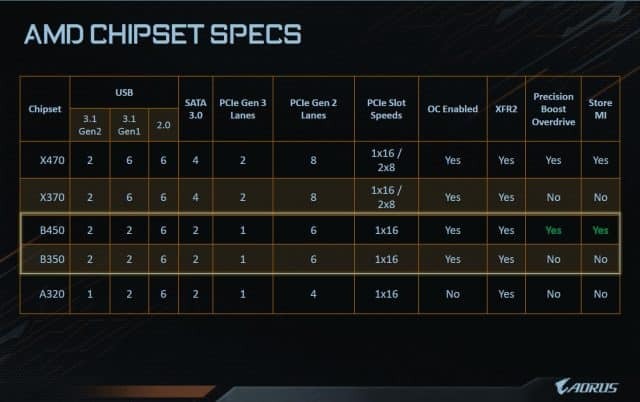 I wonder if this is AMD specific considering the recent events in the news around Nvidia and the “Gaming” name? For clarification, I have included a diagram from GIGABYTE which outlines their new naming format and designations. 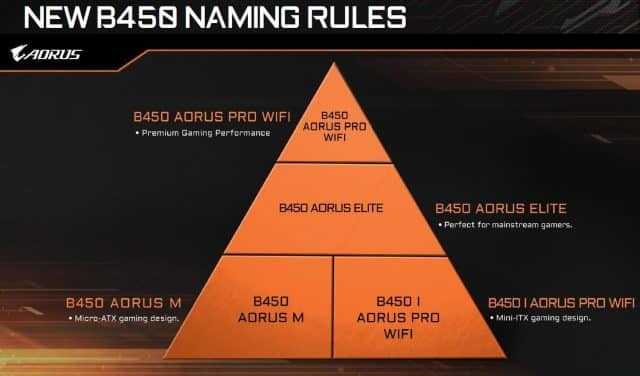 GIGABYTE’s top prospect the B450 AORUS PRO WIFI is chock full of goodies. It features their 8+3 Hybrid Digital PWM design with Lower RDS(on) MOSFETs to power your CPU as well as dual M.2 slots both with Thermal Guard to keep your drive cool. Another thing I have been noticing lately is manufacturers have been adding an integrated I/O shield for convenience and added durability. 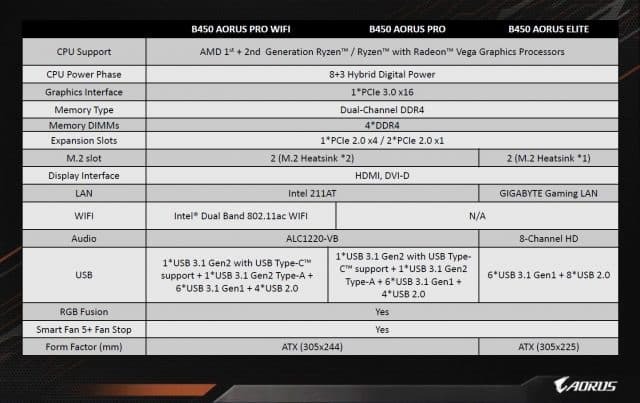 The AORUS PRO WIFI as the name implies also includes Intel Gigabit LAN and Dual-Band 802.11ac Wi-Fi for connectivity. 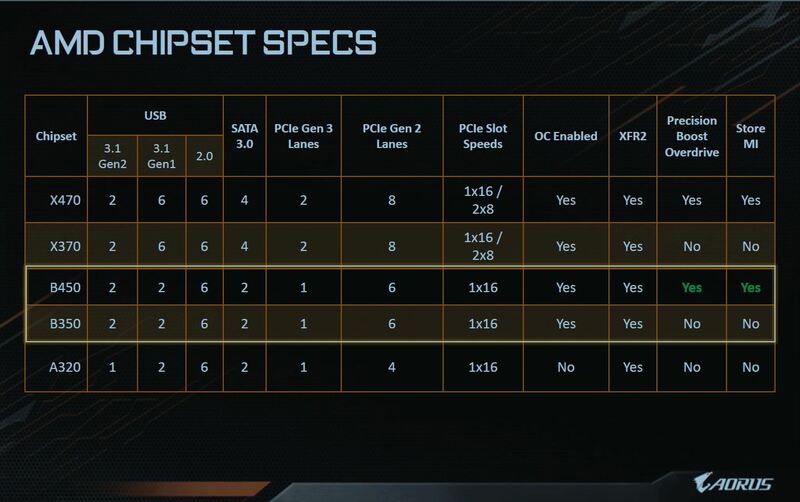 With new names and new B450 motherboards in all sizes, it looks like GIGABYTE has you covered. Whether you prefer a full-size ATX or the Mini-ITX there’s something here for everyone and their needs. Looking forward to seeing these on the shelves in the near future.